Spring Lilac Gathering for Cold Infusion Body Oil • Britanie Faith — To Be Magnetic™ | Manifest the life you deserve for less than a dollar a day. Spring always makes me smile because it means picking lilacs and creating my Lilac Body Oil (so that I may hold on to the sweet intoxicating aroma of my most favorite flower). I have so much fun infusing the delicate essences from these ethereal purple and white flowers into a natural oil. It feels like magic unfolding when the flower properties are released through infusion. The beauty of nature unfolds right under my nose, which then get massaged directly into my skin. I find this to be one of my favorite and most pleasurable experiences each year. Nothing is more beautiful than seeing my kitchen table filled with flowers, and having the air sweet with lilac buds. Some of the benefits of lilacs - for skin - are their astringent qualities, which are helpful and effective for skin tightening. Applying the infused body oil can help reduce age lines, wrinkles, and skin sagging. 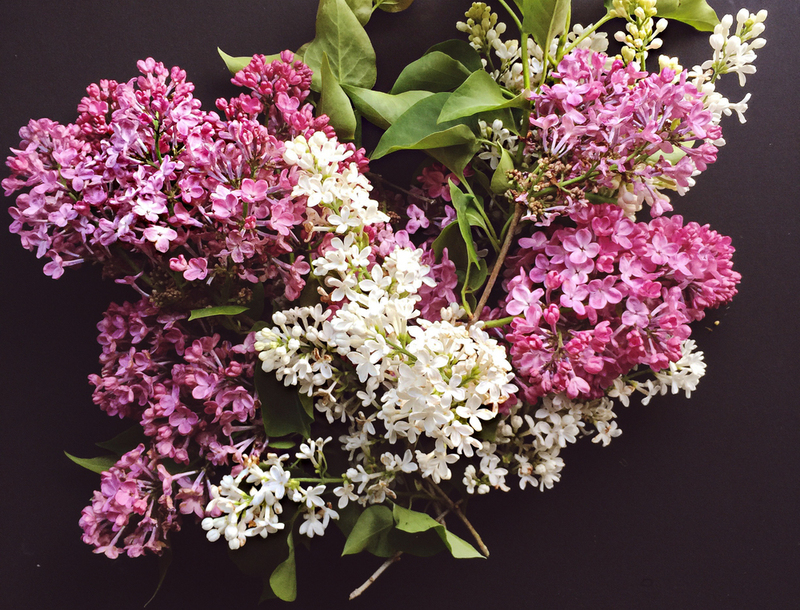 The smell of lilac can help ease anxiety and calm your mind. In fact aromatherapists use lilac essential oil to relax clients, for it can help balance your mood. Some even believe that lilac essential oil can boost your psychic abilities. I. Pick the flowers in full bloom when their aroma is the most intense. II. Trim the flowers from the stems and discard the leaves. When you use fresh flowers, you'll need enough to fill your jar almost to the top with the blossoms. III. First, lay the flowers out in a single layer overnight to wilt. Make sure they are dry before packing into your mason jar. IV. You will need a mason jar, wooden spoon, and natural oil of your choice. I prefer natural sunflower oil because of the very high Vitamin E content that deeply moisturizes the skin. V. Break off the flowers & leaves from the stems and discard. After wilting for a day or two, lightly pack into a clean and sterilized mason jar. Pour your cold pressed oil of choice over the flowers. Stir with a wooden spoon to get rid of any bubbles. PROCESS | The first day I leave a piece of cheesecloth on top (rather than putting the cap on) to let any moisture that may have been left in the flowers to dissipate. The next day, with my wooden spoon, I gently stir the infusion and make sure all flowers are covered with oil. Then I cap the mixture tightly and leave for two weeks. Store the jar in a dark cool place out of direct sunlight. I leave mine in my kitchen cupboard. You may infuse this recipe up to four weeks, but I usually can’t wait that long. I don’t want overly perfumed body oil so two weeks is enough to have the essence of the flowers infused and synergized into the oil. Pour the mixture through a very fine mesh strainer and using a wooden spoon to press and release every last bit of the oil infused flowers. I do this twice to make sure only the infused oil remains in my mason jar and no flower residue. I add a teaspoon of Vitamin E to the body oil to extend the shelf life. I decant into amber glass bottles with a dropper top, date and label. And then of course, share! For more of Britanie's infinite clean beauty wisdom, follow her blog and Instagram. What baby steps do you take to support your UNBLOCKING process? The FN team shares their answers. Today Britanie Faith gives us the ins-and-outs of how to obtain the effortless summer glow! for the spring fragrant inspired.